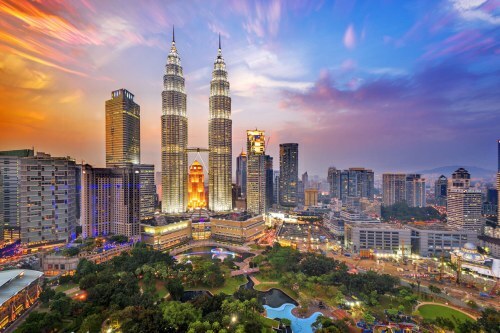 United Airlines and All Nippon Airways (ANA) have dropped the price of their flights from Buffalo and Rochester, New York to Kuala Lumpur, Malaysia down to $581 CAD roundtrip including taxes. 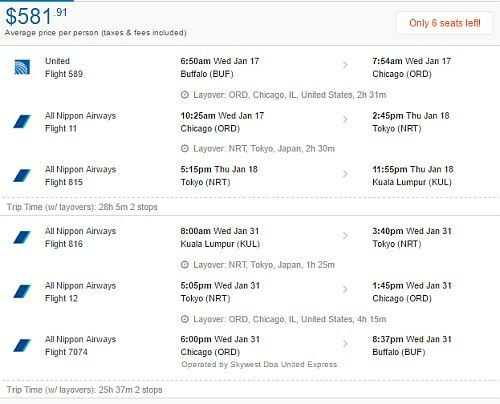 The flights have 2 stops each way, in Chicago and Tokyo, Japan. NOTE: After your Momondo search completes, you should click on 'Best' - otherwise you may see flights that are slightly cheaper, but with really long layovers. flight deals, buffalo, buf, asia, southeast asia, rochester, roc, united airlines, ana, kuala lumpur, kul, malaysia and all nippon airways.